Sold on eBay earlier today, at $6,276 -- http://www.ebay.com/itm/152540539001. 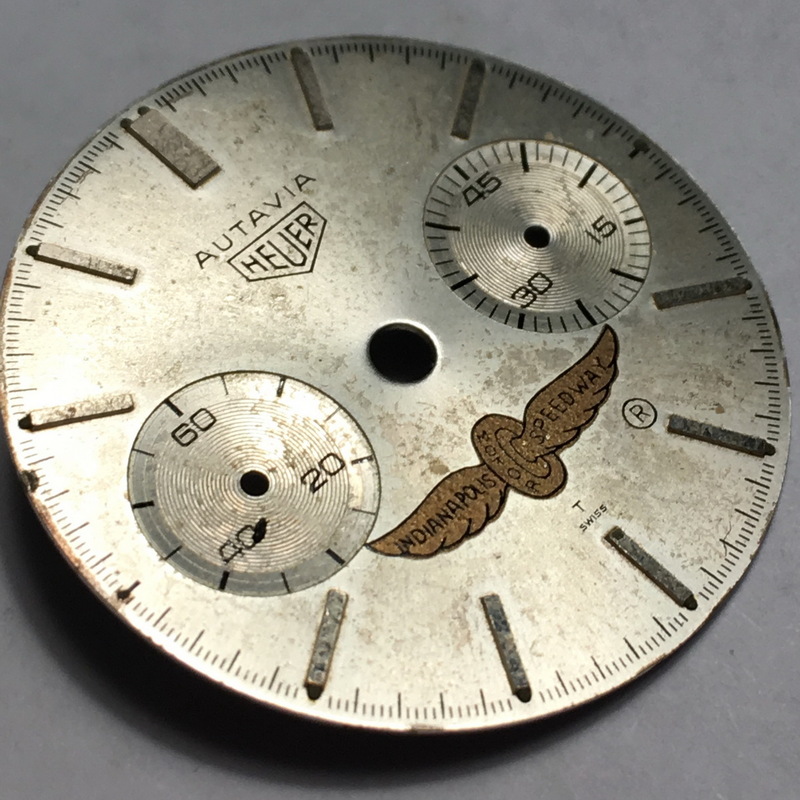 Appears to be a correct dial for Autavia, Reference 3646, second execution case. 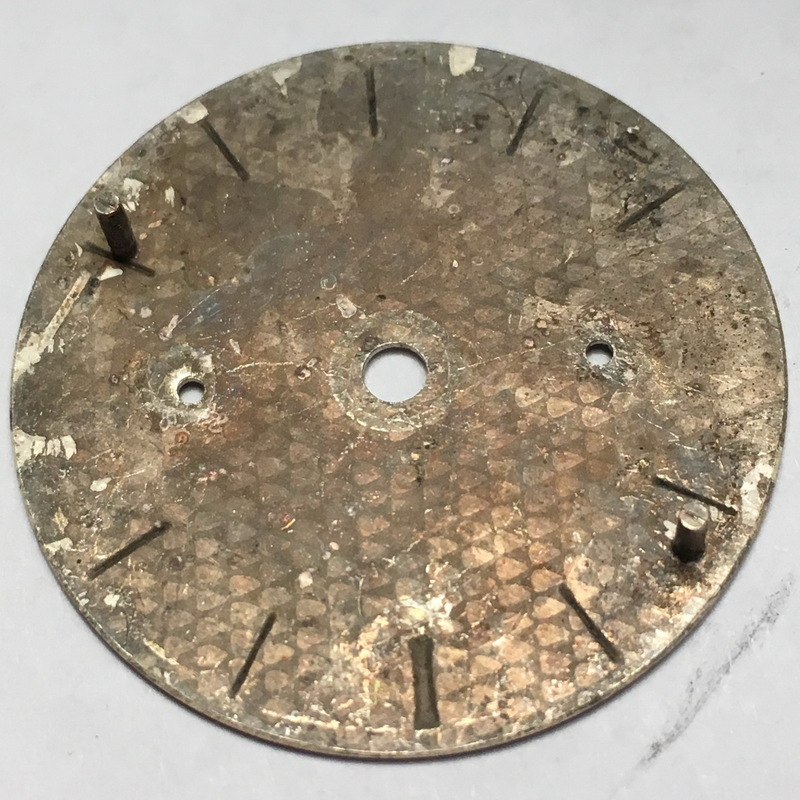 Well, no one can say that an old watchmaker had this dial put away, and decided to make a rare watch out of it. 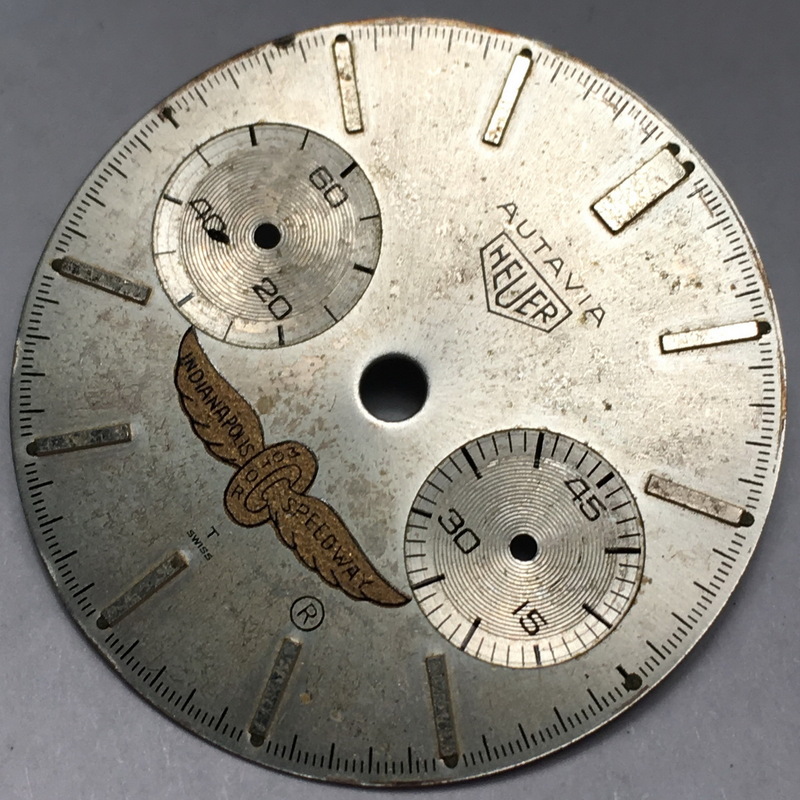 Exactly the opposite, it would seem -- could someone have taken this dial off an original Indianapolis Motor Speedway Autavia, and replaced this old beaten up dial with the far more common "Andretti" version. Ouch!! Seller did not seem to know the history of this dial. It will be interesting to see whether we see it again, in a complete watch . . . and, of course, the watch may have some new provenance by then.